The Oliver Foundation Teen Board's mission is to energize kids and teens to be more health conscious through community and school outreach projects that encourage lifelong healthy eating and physical activity habits. As Teen Board members, we serve as role models to our peers through our commitment to promoting our motto: "YEAH!" -- YOUTH EXCITED ABOUT HEALTH! Our goal is to inspire and motivate our generation to live a healthy, balanced life and make healthy choices. 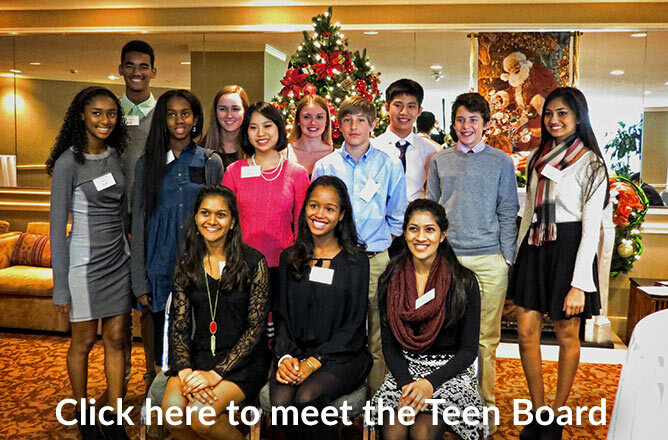 The Teen Board was established in 2004 and remains an active advisory board to the Oliver Founation. © Copyright 2004 - 2019, The Cluthe & William B. Oliver Foundation, All Rights Reserved. The Oliver Foundation is a Texas-based 501(c)(3) non-profit operating foundation dedicated to the prevention of childhood obesity.